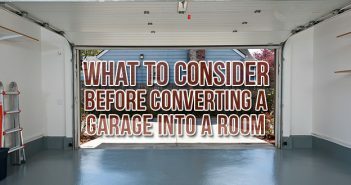 Home improvement can be intimidating, especially if you’re planning to tackle projects yourself and aren’t sure how to get started. One of the best ways to work up the courage and find inspiration for your projects is to explore home improvement blogs written by DIYers just like you. 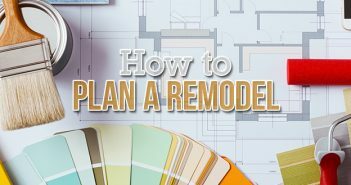 We’ve pulled together a list of some of our favorite DIY and remodeling blogs to help you get started. 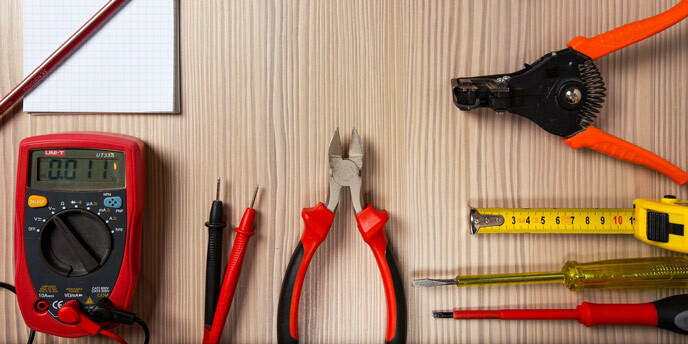 From learning how to use your power tools to decorating your guest bedroom, we’re sure these five home improvement blogs will help you hone your skill set. Sarah is the voice behind the Ugly Duckling House blog. The blog started when she bought her first home in Atlanta, Georgia and decided to blog about her DIY adventures and mishaps. She fully details her projects with instructions, pictures, videos and a good amount of humor. On her home improvement blog, Sarah doesn’t shy away from projects she’s never completed before (like building cabinets and getting rid of backyard stumps) and encourages others to do the same. Her blog makes it clear that she thinks if she can do it, anyone can. Recommended Reading: An entire section of her blog is dedicated to the tools she uses and includes tips for learning to use them. She also details the mistakes she has made so you can avoid them. This 10-year-old blog is written by Kate Riley, a lawyer turned design blogger who focuses on interior design, smart home improvement and DIY projects. Her experience comes from her own home remodel as well as the fixer-upper properties she has worked on. Her home improvement and DIY blog includes room tours, design tips and outlines of her completed projects, which range in size from kitchen remodels to wallpaper installation. Mixed in with the DIY blog tutorials about installing shiplap and fireplace makeovers, you’ll find design tips varying from choosing bathroom hardware to selecting the right rug. Recommended Reading: We love this post that details the truth of renovation mistakes and design “nevers,” where Kate discusses her own renovation mistakes and common design no-nos she disagrees with. Young House Love is the work of husband and wife, John and Sherry in Richmond, Virginia. Since starting this blog, they have renovated three homes (not to mention seven kitchens), written multiple books and helped design products sold at Target and Home Depot. They are expert DIYers and their projects range from redesigning floor plans to decorating rooms. While some of their projects may be beyond your scope, their home renovation blog provides interesting details about how they plan these projects, what went wrong and what they couldn’t change but wanted to. Many of the posts include methods they tried that didn’t work, proving that you are not alone in your occasional DIY struggles. Recommended Reading: This remodeling blog goes into great detail about the products they purchased and often provides alternatives varying in price and color. This article on installing subway tile is a great step-by-step guide and includes different tile options so you can find the right one for your kitchen. Remodelaholic is written by Cassity, an interior designer, with occasional posts from her husband. They are currently working on their fifth project house. The blog’s motto is “reduce, reuse, recycle, re-purpose, remodel” and features projects that work to do just that. DIY project posts are illustrated with detailed photos, videos and instructions. They include inside projects such as remodeling a master bedroom, as well as some unique outdoor improvements like building a chicken coop. Remodelaholic provides a real-life look at projects, detailing how long a project took, how it impacted the family, why certain decisions were made (like hiring a professional instead of doing a project completely DIY) and how she feels about the results. 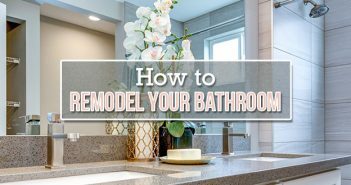 Recommended Reading: Take some time to learn about Remodelaholic’s bathroom remodel, where she puts her blog’s motto to good use. She explains which parts of her bathroom she is reusing, what pieces she’s recycling from around the house and shows you how the finished product comes out. Karen Cooper is another lawyer turned DIY blogger. Her blog focuses on decorating on a budget, touching on everything from paint and color to storage and organization. You can find posts on a broad range of subjects, including her $1,000 kitchen renovation and tutorials on painting everything from doors to headboards. The DIY Bungalow has regular features like “Friday Five” and “Power Tool Challenge,” both great for home improvement education and inspiration. 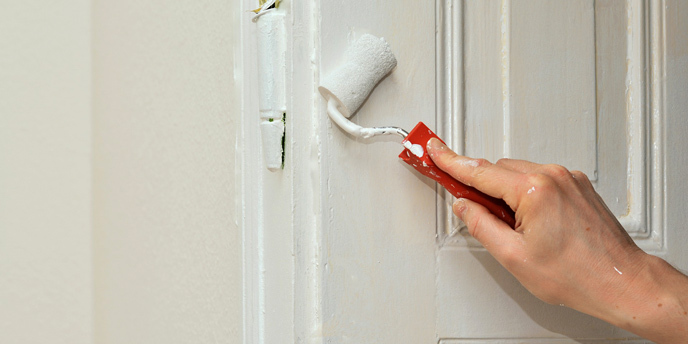 Know of any other home improvement or decorating blogs we should bookmark? Let us know by leaving a comment in the section below. Also, check out the home improvement section of our blog for comprehensive how-to projects, remodeling ideas and the latest industry trends. More ideas coming to my mind. Thanks for sharing these ideas. I’m glad I bumped into this post. It is great to be able to learn from lots of these DIY blogs. Certainly by learning from them will have great benefits on me. It is like we could experience it ourselves and avoid any of their mistakes. Great lists Rebecca. Thank you for that! Thanks for the list here! I was not familiar with some of the blogs listed, like One Project Closer. Such an amazing post. I love the list. Thanks for such an interesting post. I was searching for some of home decor tips to improve my home and i found this post so useful. Great work! I would like to be added to this blog list I own and operate a DIY home AC repair and maintenance site and update the blog daily. Thanks for reading and commenting! We’ll put you in the running for our next blog roundup! I would like to be add my website http://authenticrestoration.biz. We offer free roof inspections and estimates for homes with storm damage. Thanks for commenting! We’ll consider you for our next blog roundup! Thank you for sharing information about best home improvement blogs. i just bookmarked all of these pages for further. This blog is great! My husband and I are currently building our own house in the mountains of Colorado, this blog is really interesting for us! Feel free to watch our progress on our blog, http://www.skiddinginbroadside.com! Thanks! Great round up. I’m “DIY challenged”. I need these types of resources to get most home projects done. Please check out the home renovation posts at http://www.abbyandelle.com. Lots of innovative ideas for DIYers! Thank you! Hey, please also consider our blog. We are an AC service company providing informational and troubleshooting blog posts weekly, mainly concerning lowering utility costs. Great list, although it looks like Fresh Nest Blog isn’t updating their blog anymore. as a decorator it’s great to see what some other home improvement people from plumbers, to builders, and architects are doing. I think littlehouseonthecorner is also a great blog that I check into all the time. My husband and I also have a DIY and home remodeling blog. We purchased a 100-year-old abandoned Victorian and are slowly but surely working on bringing it back to life. We also have flipped two previous houses, one we sold and the other we are currently renting. We have posts on all of the above and you can check us out below. I would like to be add my website http://quotes4home.org/. We offer free home improvement estimates for homes with storm damage and other effects. These are great resources for inspiration, thanks for sharing. I also am blogging about my home improvement on my site, https://sassyhacksaws.com, and sometimes I know what I want to do, but I’m not always sure how to do it. Seeing other people’s solutions to my problem helps me answer. Nice list of blogs. Please consider ours estate agency valuation page https://www.loveyourpostcode.com/online-property-valuation/. We will be updating regularly. Thanks for sharing. All good sites, thanks for sharing them with us. Although it’s a one-year-old post, it seems like a new collection of blogs related to home improvement. Thanks, author for your research on finding these best HI blogs. Thanks for sharing this post. I am actually familiar with some of the blogs on this list and find only a few of them are new to me. Hey! Wonderful post! If you need professional home improvement or repair services, contact Prime Aspect Windows. We are a renowned company in Darlington offering perfect door, window, extensions and conservatories for your house. Visit us to know more! Nice list on home improvement blog. I think, you can update your article because, now a days, there are lots of home improvement blogs available in the online world. You can check this one: https://homeholds.com/ and hope you will love this one.